Birds in Trees Sculptures are delightfully detailed. 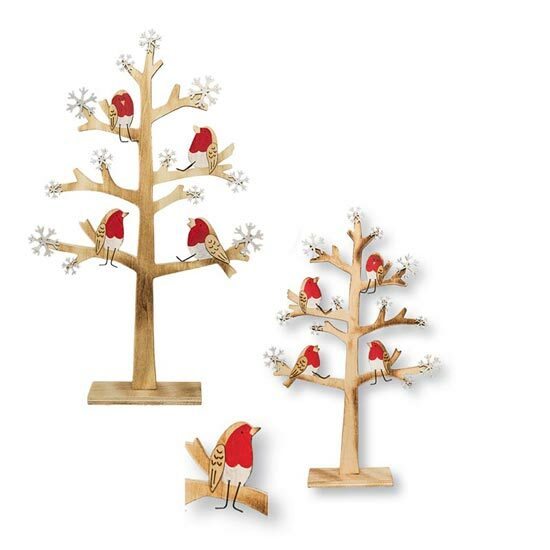 Two laser-cut, wood trees host a small flock of hand-painted birds and a flurry of white snowflakes. Birds are perfectly posed in the branches with the help of bended-wire legs, and seem to be discussing the news of the day. These precious pieces of modern folk art are sure to become the highlight of your winter décor.